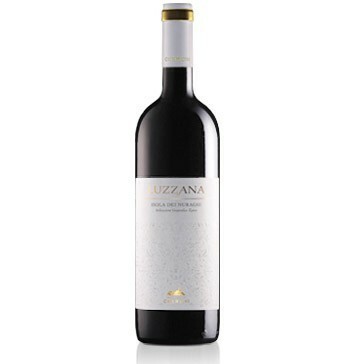 This wine originates from grapes grown on denominated Padru and Piscamu, Pirapiglias, Monte Tumbaru, Pischina Anades and Tuvaoes vines. Production of this wine is limited and it is aged in barrels for eight months. It has a ruby colour and a well-balanced aroma that is pleasing and harmonious. It tastes full, fresh and lightly fruity. The relationship Giovanni Cherchi has with the land is unique. It is an intimate, close relationship, with love that expresses itself through continual care, respect and experience. The company's vineyards enjoy a unique geographical position among sweet Sardinian hills, which are exposed to the sun throughout most of the day and benefit from light breezes which come from the nearby sea. With picturesque names like "Pirapiglias" and "Sena and Sulumu", the grapevines cover about twenty hectares. The salient characteristics of this company are the traditions that are passed on from father to son and a never-ending search for even greater quality. This wine is an excellent accompaniment for red and roast meats. If kept well, this wine has an average conservation period of about eight years. The bottles should be laid horizontally in a cool, dark, humid wine-cellar.